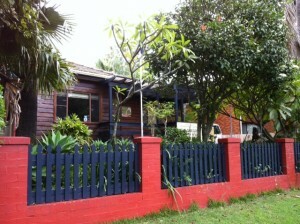 Mona Vale Chiropractic Centre: Mona Vale, Bayview, Newport, Warriewood. Mona Vale Chiropractic Centre is the longest running family operated Chiropractic clinic on the peninsula. It is located on the beautiful Northern Beaches of Sydney and you will always receive a warm welcome. The beautiful garden setting and home-style environment will help you relax and prepare you for your treatment. As Mona Vale Chiropractic has been part of the Northern Beaches community for such a long time we have been involved with many of the sporting and social clubs. Mona Vale Chiropractic is proud supporter of the Collaroy Surf Lifesaving Club Beach Team. 2012 to 2016 have been tremendously successful years for the beach team culminating with many gold medals at the Australian Surf Lifesaving titles. Neil Gregory is a Justice of the Peace (JP) and is always happy to certify documentation for current Mona Vale Chiropractic patients or anyone living in the Mona Vale, Bayview, Newport, Warriewood and surrounding Northern Beaches areas. We are located close to the centre of Mona Vale on Pittwater Road between Park and Darley streets. There is off-street parking and level access to the clinic.